Tuesday is pancake day, and everyone is going to be talking about pancakes. Which of course is going to make me want to eat pancakes. There’s no use denying that on Tuesday I’m going to be making pancakes, but these days I usually like to try something different to the usual sugar and lemon combo. It keeps things interesting! 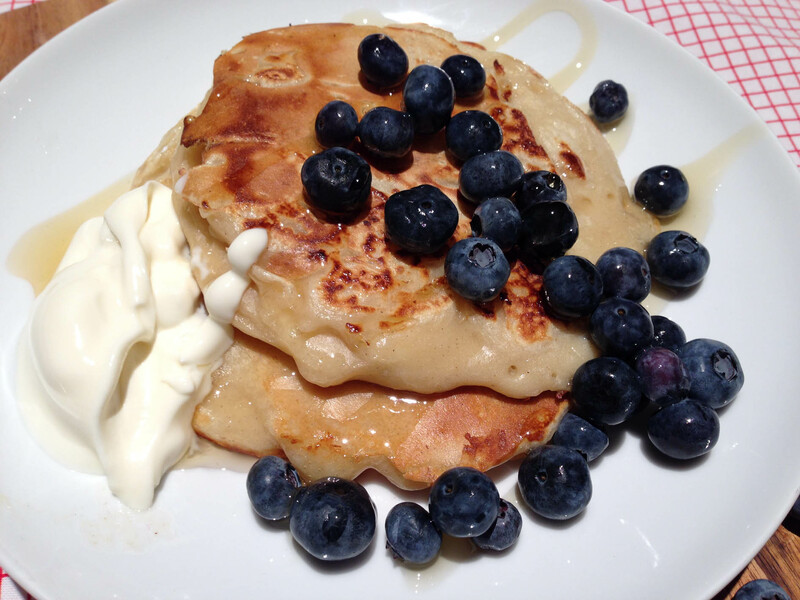 And recently I made these American-style fruit pancakes, which I thought I’d share as a bit of pancake-inspiration ahead of Tuesday. 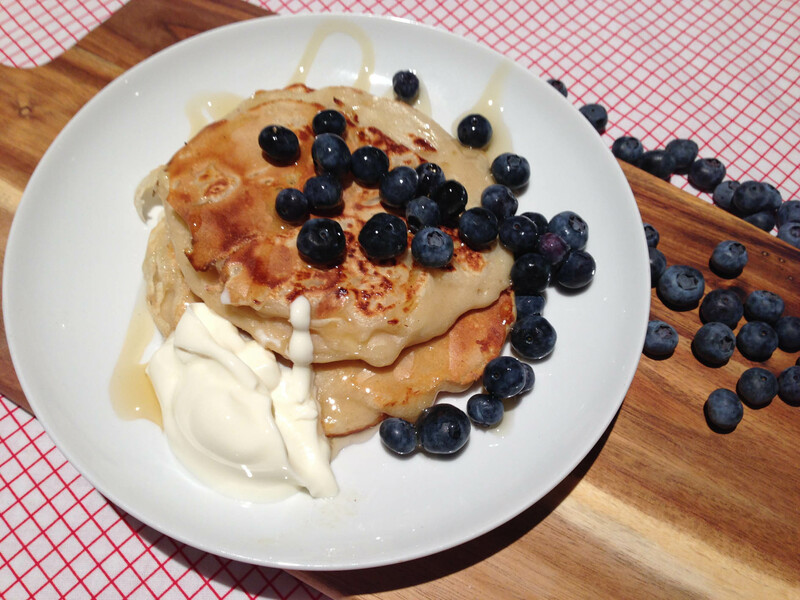 The recipe is Jamie Oliver’s for one-cup American pancakes – and it’s so so easy! You just need an American measuring cup. Mix together the flour, egg, milk and salt. The mixture for American pancakes is much thicker than the traditional kind of pancakes I’m used to making. Slice the banana lengthways down the middle, and then slice thinly. Stir into the batter. Heat a small amount of oil or butter into a frying pan. Add a small ladle-full of batter into the hot pan. Cook for a few minutes on either side, flipping once. They should be a nice golden brown colour. Serve with the toppings of your choice – for me a dollop of crème fraiche, a drizzle of runny honey and a sprinkling of blueberries was perfect. This made a very delicious breakfast, but would also be a tasty meal for pancake Tuesday! How do you like your pancakes? Yum! They look amazing! Bookmarking this one for sure. I made these again today, and glazed them in a bit of honey in the pan – amazing!